Our Focus Tennis Academy coaching team offer group and private coaching to adults who are either new to the sport, looking to improve their game for both social and competitive play, or for those who have spent some time away from the sport and are looking to get involved again. 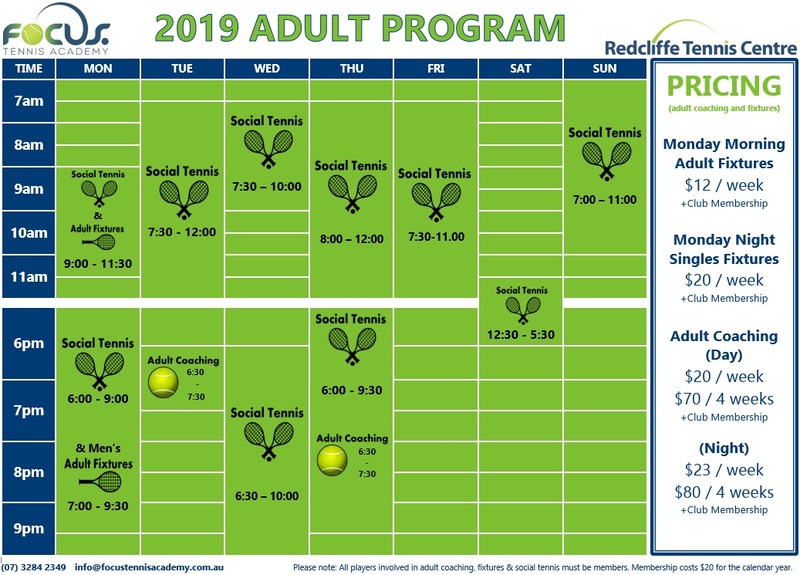 Check our Cardio Tennis page for more details on adult group coaching or our Private Coaching page for private lesson information. For more information, call us on (07) 3284 2349 or email info@focustennisacademy.com.au. 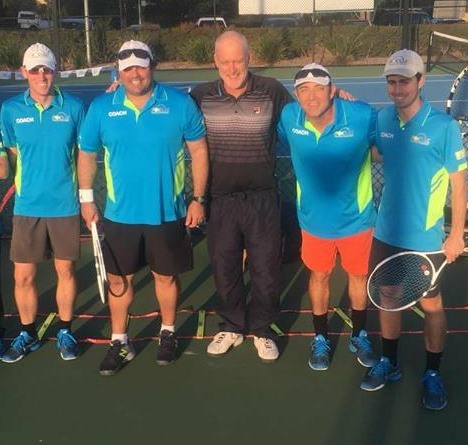 The Focus Tennis Academy coaches are friendly and highly skilled and qualified. They are passionate about helping people reach their full tennis potential whilst having fun and developing a love of the game. All our coaches have an Australian Government issued Blue Card.